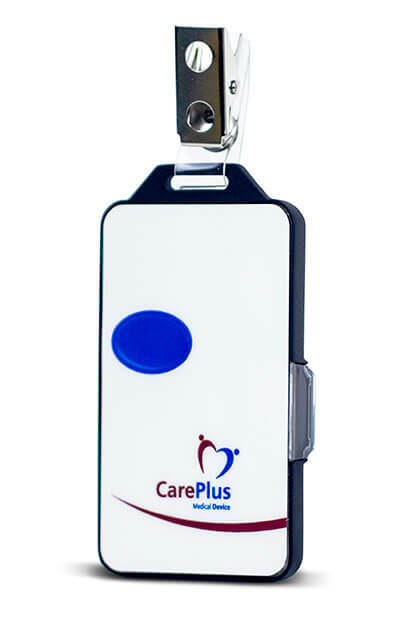 CarePlus™ Mobile Staff Duress is a RTLS safety solution for aged care, acute care and mental health facilities, drug and alcohol units, dementia units, and day surgery. The easy-to-use tag, which is convenient, accessible and lightweight, can be discretely activated to send signals with precise room locations through RTLS technology. Real Time Location System (RTLS) and dual technology Radio Frequency (RF) and Infra-Red (IR) are utilised to detect and direct. Mobile Staff Duress increases staff confidence and safety, tracking any staff member with a tag signalling duress. 24/7 protection is delivered as a standalone or integrated system to send instant help to any staff member experiencing duress. Asset Tracking is another option soon-to-be-available offering location tracking services for expensive equipment in any facility. Reduced installation and commissioning costs improves satisfaction and also improves staff workflow. All CarePlus™ products are easily integrated together for a complete and cost-effective Nurse Call solution package.